Photos of and by children living in a camp for internally displaced persons in Nigeria. Utopia is a photo exhibition that creates a counter-narrative to the problematic representations of children from the Global South in many charity representations. It shows photos of and by children living in a camp for internally displaced persons in Nigeria. 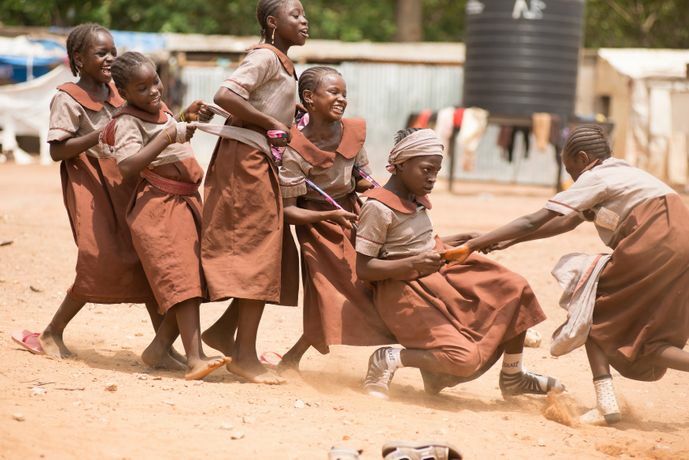 Having been forcefully evicted from their homes in north-eastern Borno state by Boko Haram terrorists who have also abducted hundreds of schoolchildren, killed tens of thousands of people, and bombed major cities - the children hope for a brighter future. Utopia explores the themes of race, representation, resilience, migration, enterprise, imperfection, and beauty; challenging the visual stereotypes of the developing world in global development discourse. It features the photovoice images of these resilient children, enabling them to tell their own stories. The exhibition is supported by the University of Sussex Researcher Development Programme's Public Engagement Fund.